Greg Lai, one of the top money managers in Southern California, would be the first one to tell you that when he was growing up, he was no athlete. Lai’s daughters are outstanding athletes, and Dad could not be happier. “It’s not just about winning medals,” he says. “My daughters’ experience opened my eyes to the reality that high school sports bring out the best in kids. My daughters are healthier and stronger because they do sports. They are great at time management. They are more well-rounded as people. A sideline conversation with the father of a teammate of one of his daughters opened Lai’s eyes to the reality that high school sports are chronically underfunded in the United States—especially girls’ athletics. This lack of funds even extends to our Olympic teams. Lai’s experiences with his daughters’ high school athletic career led him in a surprising direction. He now sponsors one of the athletes who will be competing in the next Summer Olympics. 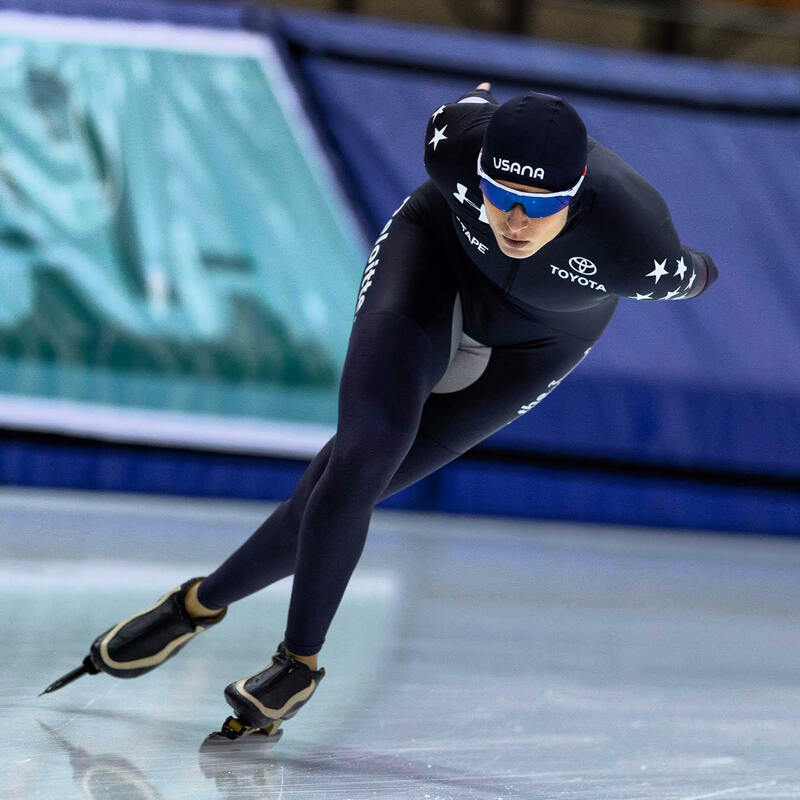 Mia Manganello Kilburg won a bronze medal in Speed Skating at the recent 2018 Pyeongchang Winter Olympics and is now competing for a place on the US Summer Olympics Team in Cycling. Mia Manganello. Photo by John Kaliba. “I never imagined that out of all the charitable or philanthropic entities in the world, I would be supporting an Olympic athlete,” Lai says. “But when an American woman medals, she becomes a role model for millions of high school female athletes across the country. Lai encourages anyone who wants to better the lives of girls in our society to consider contributing to an Olympic team or an Olympic athlete.